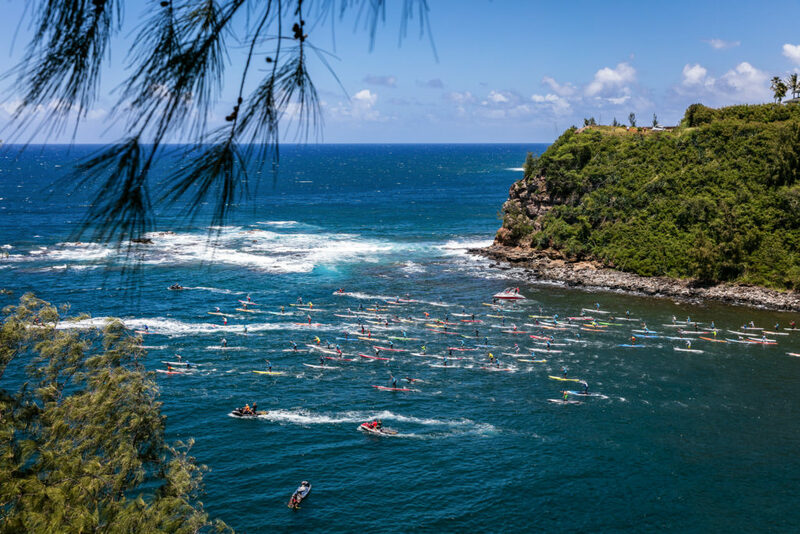 Imua Family Services along with Title Sponsor BLUESMITHS Crafted Waterwear announced the date of the 7th Annual BLUESMITHS Paddle Imua race on Saturday, May 5, 2018. A physical embodiment of the Hawaiian word Imua (‘to move forward’) Bluesmiths Paddle Imua is a multi-discipline paddling race with proceeds directly benefiting Imua Family Services’ Camp Imua program, a week long recreational camp for children with developmental disabilities, a Maui summer tradition for over 40 years. Registration will be open on Jan. 1, 2018 at www.paddleimua.com. All racers at registration are given the opportunity to magnify their impact by crowd fundraising from friends and family in support of their participation. 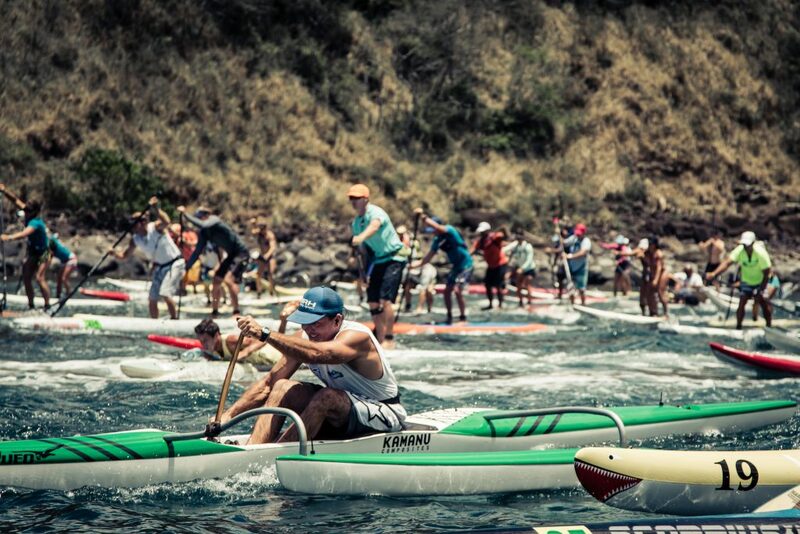 Last year an additional $1,500 was added to the fundraiser event by Paddle Imua racers. BLUESMITHS Paddle Imua brings together hundreds of ocean athletes from around the world to support this worthy cause that provides an opportunity for children with developmental challenges or disabilities to enjoy a free summer camp experience. 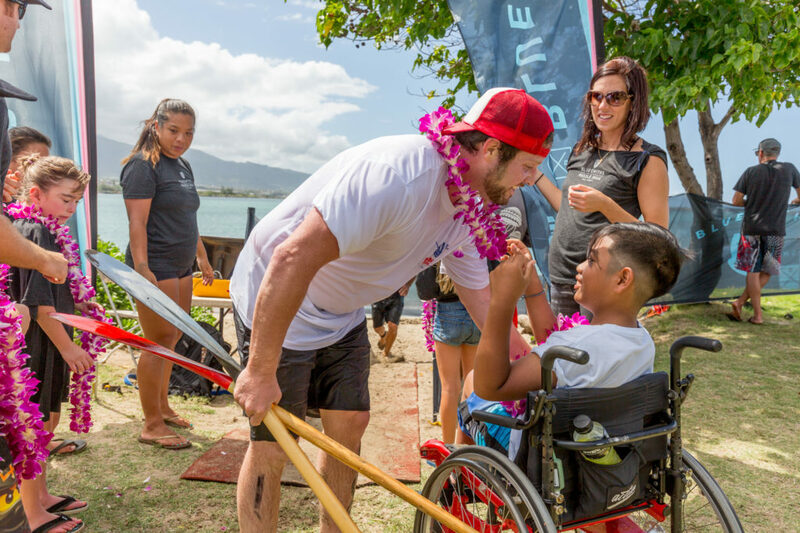 Paddle Imua’s goal is to raise $50,000 in 2018 which will play a monumental role in keeping Camp Imua’s tradition alive by providing over 30% of funds necessary to operate the program. 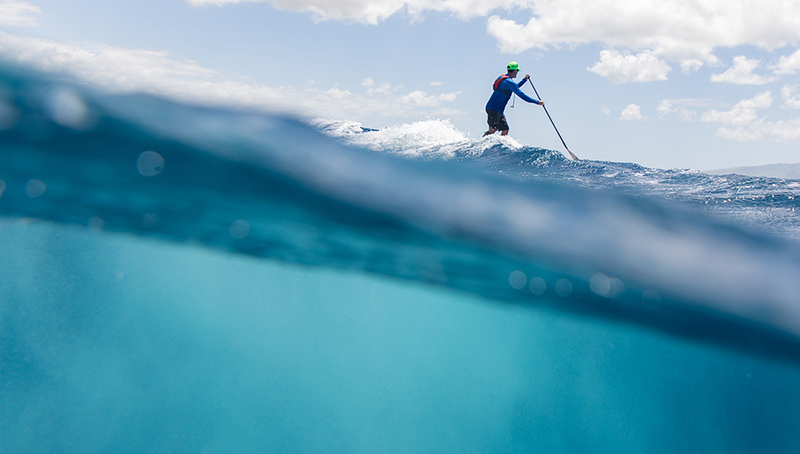 BLUESMTIHS Paddle Imua follows the renowned Maliko Downwind Run and concludes at Hawaiian Canoe Club in Kahului. 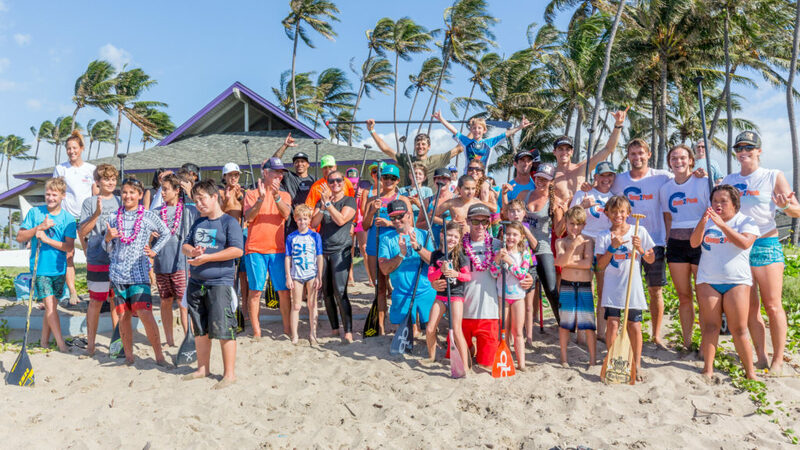 It is the fastest growing multiple discipline ocean paddle “fun race” open to men and women of all ages in Stand-up Paddle (SUP), OC1, OC2, OC6, prone paddleboard and surf ski categories. In 2017, BLUESMITHS Paddle Imua added experimental Hydrofoil SUP and Laser Sailboat categories to the race and expect to see this competition increase in 2018. Check-in will open at 10 a.m. at Maliko Gulch, and the race will begin promptly at 1 p.m. Trophies will be given to the top three finishers in each division. BLUESMITHS Paddle Imua also includes a post-race celebration called the ‘Ohana Festival, which is hosted at Hawaiian Canoe Club. 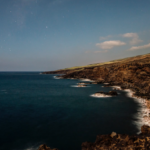 This free event is open to the public where they can enjoy entertainment provided by Old Lahaina Lūʻau, tasty food from a selection of local food trucks, relays, games, prizes, and more. Race registrants will receive lunch, a commemorative 7th anniversary canteen, event tee, and access to the beer garden (ages 21+). The first 150 people to register will also receive a special Mahalo Bag filled with various gifts from sponsors. Current event sponsors include: BLUESMITHS, Maui Jim, Aloha Mixed Plate, Hawaiian Canoe Club, Deep Relief//Peak Performance and Old Lahaina Lūʻau. For more info about becoming a sponsor or making a donation in support of Paddle Imua, visit www.paddleimua.com.